So we’ve been going through different genres and exploring tips for how to write them. I’d like to continue that journey today by talking about how to write Sci-fi. Let’s take a look at some tips now. Read, read, read other Sci-fi, both hard and soft. See what works and what doesn’t work in the genre. How do other authors approach the technology and science involved in the story? How is it balanced with the fiction aspect? You can learn so much just from reading other Sci-fi stories. Obviously Sci-fi is based on science and technology that’s either present or based on something attainable in the future. This means we have to do research to understand what is and isn’t possible and why. This can be incredibly daunting, but will add depth and credibility to your writing. Set aside time separate from writing each week to do the research needed to bring your story to life. This helps you tackle the task of researching while still protecting your writing time. Need to look up something that pops up in the middle of writing a scene? Just put [rabbit] in the text. Later, when it’s time to research, use the control F function to search for all the [rabbit]s to figure out what you need to research. World build. Whether it’s a completely new planet your characters are inhabiting or Earth set in the future, you’ll need to do some solid world building to create your story world. Even though some elements may be fantastical, things still have to be believable, especially in Sci-fi. So have realistic limitations and rules for your technology, and have realistic traits and characteristics for your characters and cultures. If humans are suddenly blue, you better have a good explanation for why. I talk a bit about world building here. Know what to research. Research is crucial, but if it’s a small detail that doesn’t really matter in the end, do we really need to spend five hours on Wikipedia to get it? Research the big things that matter. Research things you’re not familiar with to get them right. But don’t waste time if it’s not significant and doesn’t add much to your story. Don’t info dump. Now that you have all that knowledge, it’s tempting to try and cram it all into your story. Don’t. Give your reader only the information they need to move forward with the story. Use details to give your world depth, but don’t spend paragraphs on them. Avoid the dreaded info dump at all costs. But most of all, don’t be afraid to write in this genre. Every story requires research and believability, so don’t let these things stop you from writing that great idea you have in your head. A little due diligence and imagination are all you need, so get started! And happy writing! So we’ve been looking at how to write in different genres. This week I thought we could take a step away from fiction and look at how to write a memoir. This is a genre many people, even non writers, are interested in. So here’s some tips for how to proceed. This isn’t about data or cold facts. You have a message and a story to tell. You’re still crafting a narrative and that’s crucial to remember. You’re not writing a how-to guide, so connect to your readers emotionally. That said, this also isn’t fiction. Stay true to what actually happened. Be honest about yourself and your story and that genuineness will connect to your readers. Have a structure to build up the action and to resolve for a satisfying conclusion. Just like writing a novel, you want to have a recognizable story structure. Employ writing techniques. Develop well-rounded characters, build your scenes, and show, don’t tell. Immerse your reader into your writing. Develop and stay true to your voice. Your readers are reading your tale for more than just find out what happened. They want to experience your unique and engaging writing style and be entertained by your voice. Learn more about developing your voice here. Engage in emotions. It’s not just about exactly what happened, but also about what you felt and thought when it happened and in retrospect. That’s what your readers will connect to, so don’t just stick to facts. Focus on a theme or message. You may have a couple of themes, but you want to stay away from having too many, which is like adding too many spices to a dish. Use theme to concentrate your writing and fine tune your story. Weave it throughout the story. You don’t want to be too heavy-handed with your theme. Trust that your reader will get your message. Know your audience. As with any kind of creative writing, it helps to know who you’re writing for. Your memoir isn’t going to be for everyone, no story can be, so who will it be perfect for? How would they want you to craft your tale? Write to them. Read, read, read. Read other memoirs to see how they craft their stories. The best way to learn how to write a different genre is by reading extensively in that genre. Read the really good memoirs. Read the really bad memoirs. You can learn a lot from both as to what to do and what not to do. 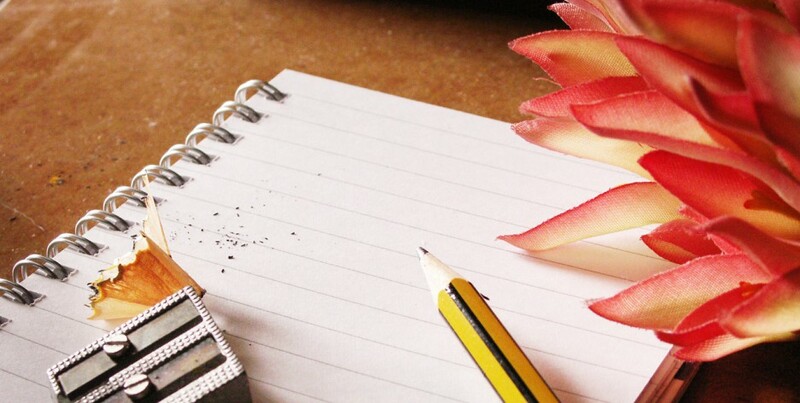 Hope these tips help you as you start writing your memoir. Remember to craft your story as you would any other story. Best of luck and happy writing! Follow me on Twitter and Facebook for weekly prompts.